Trying out note-taking apps is bit of an obsession. You can make do with the simplest ones around, but can’t avoid taking a look at the next one that arrives with a download link. 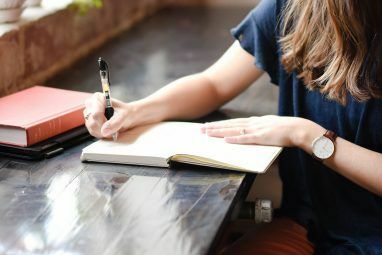 I am of those who go the whole hog – I have Evernote for all my long term planning needs; OneNote for a few specific research topics; and the ever humble Notepad2 for the scattered notes I keep around. Of these three, it is the last one which needs some spring cleaning and tidying up. 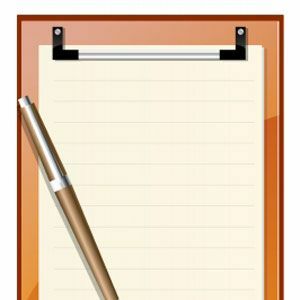 If you are one of the many like me who still use the humble Notepad (or a Notepad alternative), you could do with some help from ResophNotes. ResophNotes is not a Notepad replacement, but a fast note-taking tool for Windows that offers you organization and backup in a small portable bundle. ResophNotes offers you an installer and a portable version. I usually go for the portable versions because I believe lesser the load on the Windows Registry the better. ResophNotes is a 6.5 MB download for your Windows XP (SP2 or later), Windows Vista, or Windows 7 machine. As I don’t need to install anything, I can just click on the ResophNotes application file to launch the dual paned but absolutely barebones interface. Take a look at the screen above. I have entered a few sample lines to show you that there is a list of notes on the left (you can place it on top too with a change in the Options) and a larger text editor pane on the right for viewing and editing notes in full. ResophNotes can stay out of the way minimized in the System Tray. You don’t need a detailed help file to make your way around the simple program. Just start writing your first note and you will see that the first line becomes the title of the note. You can make out the timestamps next to each title, which also tells us that ResophNotes automatically arranges notes with oldest one on top. You can add tags to each note; with a bunch of notes, tags will help you organize similar notes. The bottom of the text editor pane indicates the time of the last modification as well as the word count. I consider the time of last modification more informative than the word count. The left pane which displays the complete list of notes offers a few options. You can Pin a note that you want to keep at the top of the list. This should take care of all the important notes which you don’t want to get away from you as the list grows. You can view your notes in the Markdown mode and save them as HTML files. Two other options let you Email and Print the current note. ResophNotes also allows you to import text notes, Outlook CSV files, and ToodleDo CSV files, which is basically a to-do task list for any GTD thoughts. ResophNotes supports a range of keyboard shortcuts which should be the thing for keyboard virtuosos. For instance, you can press CTRL+B to add double quotes and format a text string in Bold. Or CTRL+I for italics. The best use of putting all your scattered notes under a single interface is brought to the fore when you type and search for something using the Search bar. ResophNotes instantly starts narrowing down the results even as you type the entire search string. Search also supports AND or OR operations. From the Options dialog under the Storage tab, you can set the program to back up your notes to a local database. Alternatively, you can sync them to a folder as plain text files. But the choice for easier portability falls on backing up your notes to Simplenote Simplify Note-Taking & Sync Notes Everywhere With Simplenote Apps Simplify Note-Taking & Sync Notes Everywhere With Simplenote Apps Simplenote and its ecosystem of apps for every platform toss all the superfluous features found in competing note-taking programs and focus on the ones that matter. All Simplenote apps sync effortlessly, with minimal interfaces that... Read More . Simplenote as we know supports a range of third-part clients; ResophNotes is probably the better ones among them. You can quite handily set up a sync frequency to place all your notes in the cloud. Your list-styled notes require a Simplenote Premium account though, if you want to view them online on Simplenote. Note taking is a very integral part of our everyday digital existence. ResophNotes ticks quite a few boxes. Its simplicity, negligible learning curve, speed, and its focus on one thing alone – note taking, make it a worthy application. It’s not Evernote, but it’s not Notepad either. Our readers also felt so and gave it a few stars that put it on our Best Windows Apps page. But your opinion also matters. Give us a few. Explore more about: Evernote, Microsoft OneNote, Note-Taking Apps, Notepad, Portable App. Nope. THE absolute best note taking/PIM/database is Cherrytree (by Giuseppe Penone ). I've tried all the biggies and lots of the smaller ones (including ResophNotes). Nothing, so far, is as good as Cherrytree. I use it for everything writing related. It stores my Contacts, notes, web sites I need often, stories/poems I write, ideas I need to explore, tasks, and much, much more. Thank you for this tool. I have tried many notepad and I am still looking. If I haven't got stuck to Microsoft Office OneNote, I would definitely use this one! Anyway, thank you, Saikat. OneNote is far richer, and a more comprehensive note-taking app. Resophnotes, as I said, helps to take care of all the scattered notepad notes you might have lying around (at least I do). OneNote also might present a learning curve for some people. 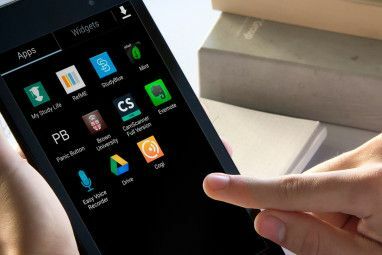 looks interesting, especially the integration with SimpleNote. I am already using this software, and i can say its best for me. This looks good but too many note making apps nowadays. May be makeuseof should do a comparative article on these apps. 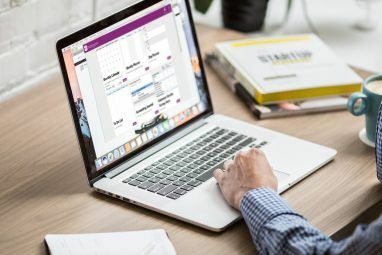 "I have Evernote for all my long term planning needs; OneNote for a few specific research topics"
-- why do you choose OneNote over Evernote - and vice versa - for different projects ? I use evernote and onenote usually, ocasionally I use my stickey notes too. I don't use note pad often, but i would find Resoph notes more useful then notepad and I'm sure I could find some use for it. ahh "Link to drop box" good call ALCvA. Forget about Simplenote and link ResophNotes to Dropbox. It's fantastic! A very useful tool for the unorganized bits not covered by your other tools.much better than original NOTEPAD.Thanks.